Welcome to the Lily Bee Blog Hop! If you’ve just started…great to see you! 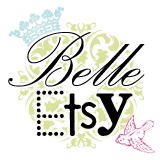 If you began hopping from the new Lily Bee blog, well, I’m sure you’re chock full of inspiration from some talented ladies and you are almost done. 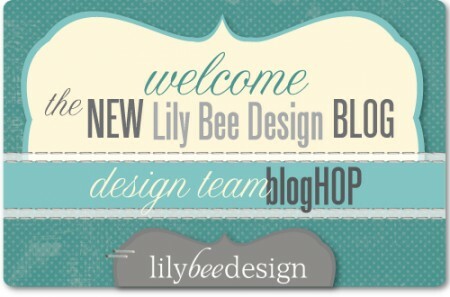 The Lily Bee blog is now at a new location so if you haven’t stopped by, make sure you bookmark it. Stop by as there are fun sneak peeks at the new summer releases. You are going to love them! 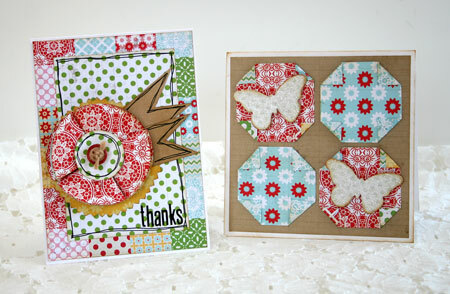 Today I have two Lily Bee cards to share with you from the Handmade line. 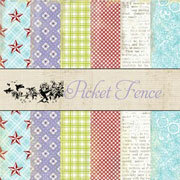 It’s one of my favorite lines and I love the fresh colors and the quilting theme. 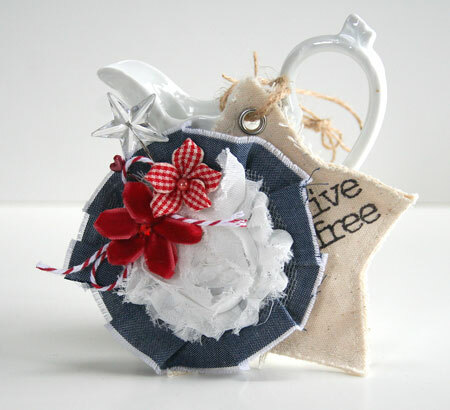 Handmade lends itself to a homespun look so I’ve gone that route with this card design. A handmade folded circle flower is the main embellishments and I’ve added in some freehand pen work to accent some of the layers. Each flower consists of 6 circles. Five are 2.5″ in size and four of them are folded in quarters and then adhered to the fifth. 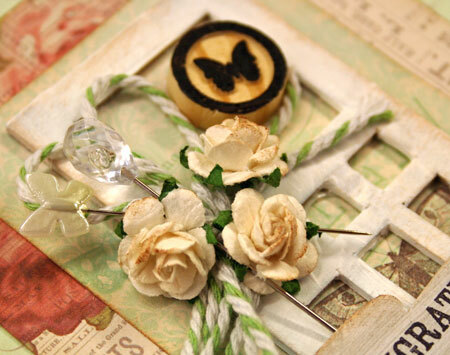 The last circle is 1.5″ and becomes the flower center. 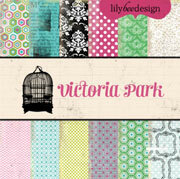 My second card features squares with folded corners. 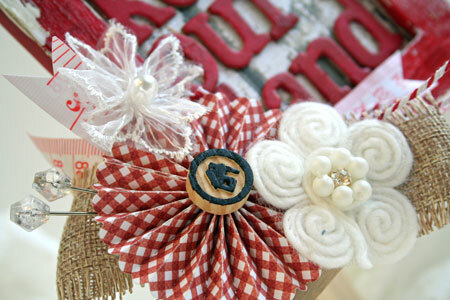 It creates a fun quilt block look. 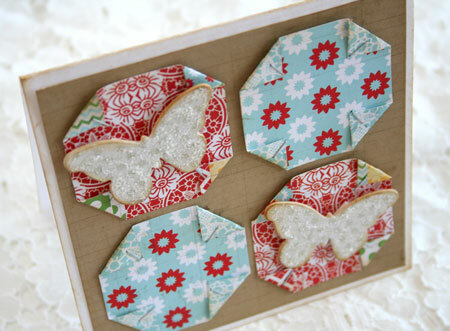 The paper and chipboard butterflies are die cut and then covered with Rock Candy Distress Stickles. 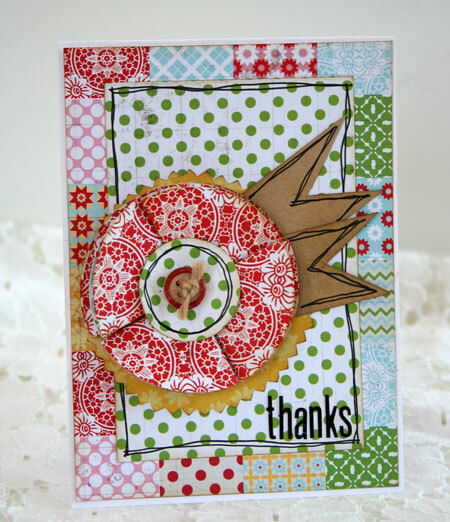 Back to the blog hop…. We will be giving away a $50 VISA gift card to one lucky winner. 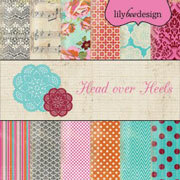 In order to be eligible, hoppers need to leave comments on each designer’s blog, and the Lily Bee Blog. Comments will be open until Monday, July 2nd, Midnight EST. 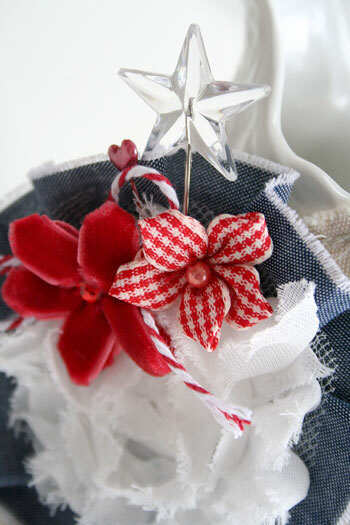 We will announce the winner on the 4th of July post. Sounds like an awesome prize! 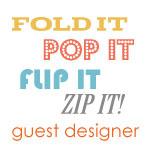 If you’d like to play along for a chance to win, the blog hop list is below. Thanks for stopping by and have a wonderful long weekend! Stamped sentiment are wonderful aren’t they? You can use them over and over and over again. But what happens when you don’t have that perfect stamp to say what you mean? How about an alphabet stamp set? You can use it unlimited times and create an unlimited amount of phrases for any occasion. 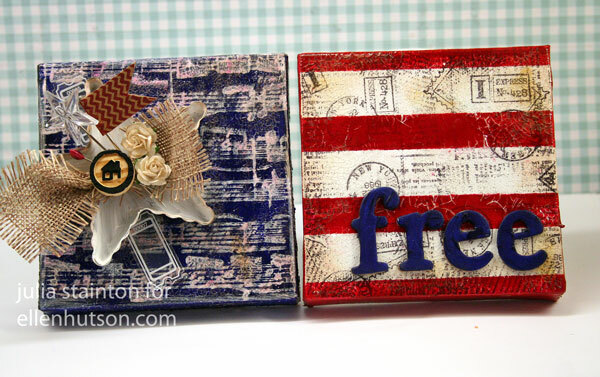 Today I’ve create a couple cards featuring alphabet stamp sentiments. 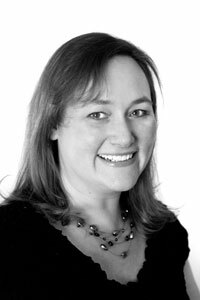 I’m sharing the first with you here but you can find them both on the Maya Road Blog. 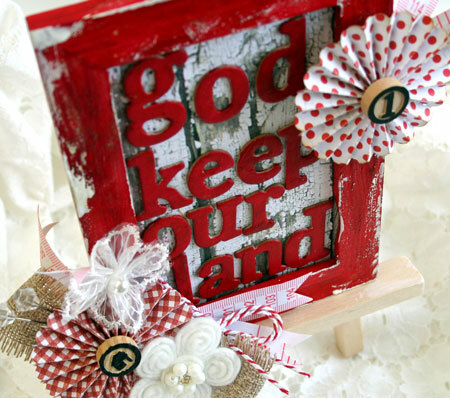 Quick Tip: Line up your alphabet letters on a clear acrylic block and stamp on scrap paper before committing to your project. That way you’ll make sure all the letters are lined up just the way you want them. Once again I’m stamping on canvas. This was a page from a Maya Road canvas mini album. 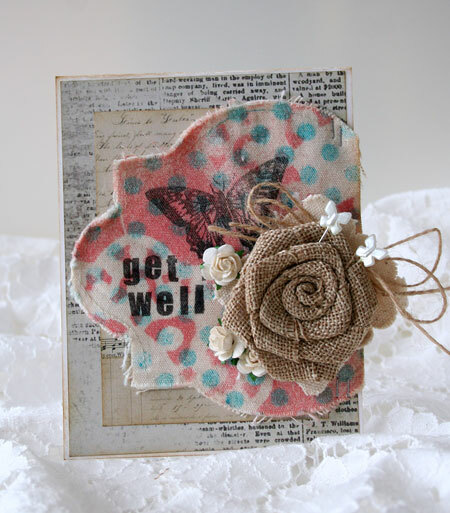 It’s been first misted with Maya Mists and the patterns are created by using the Maya Road Die Cut Kraft Doilies as a mask and then misting in blue over a Crafter’s Workshop Swiss Dot template. There is something fun and unique about a window card. I love being able to peek inside a card window and get a little glimpse of what is to come. 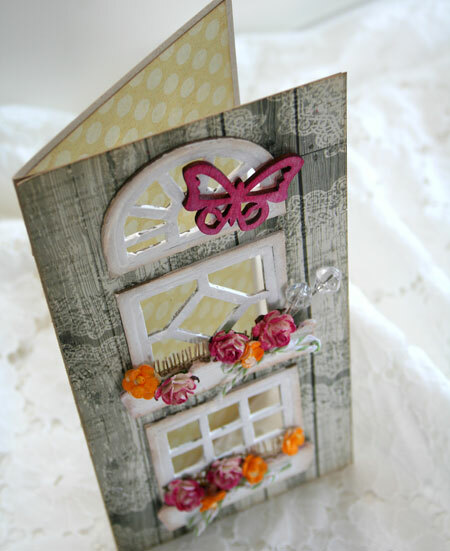 So how about a window card using chipboard windows? 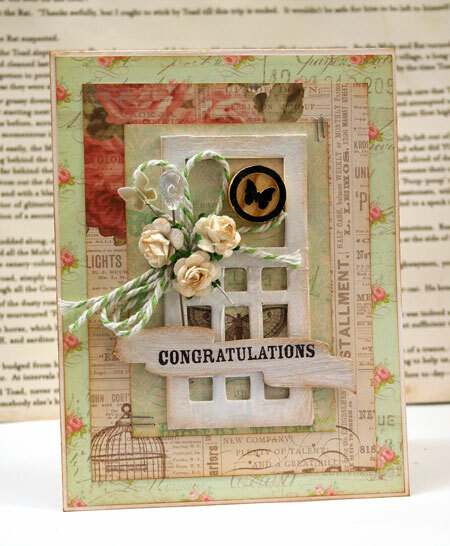 I’m excited to share my sweet and shabby window card featuring Maya Road Chipboard. I think the window boxes full of pretty blooms are my favorite part. 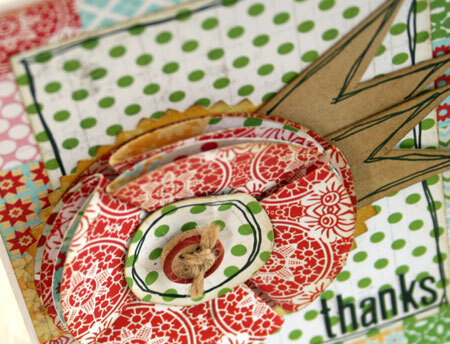 To help you recreate this card, I’ve put together a video tutorial to share with you. 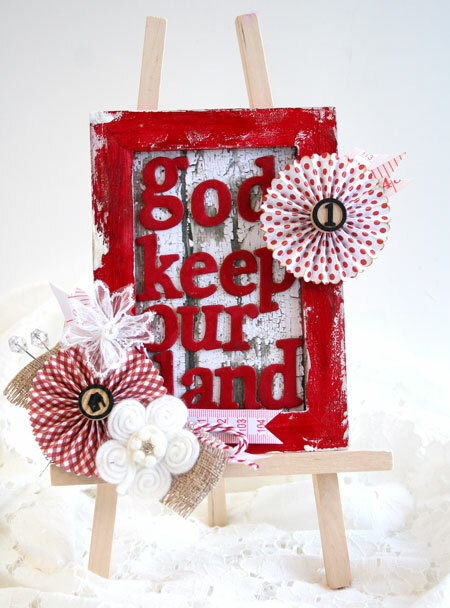 It’s featured today on the Maya Road blog so stop by and check it out.